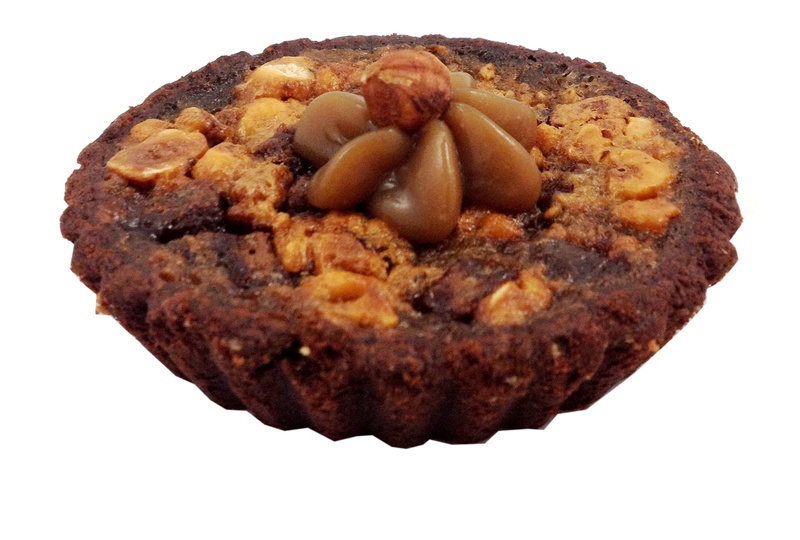 Chewy chocolate chunk cookie topped with almond slivers. Available by the half dozen and individually wrapped 8 pieces per box. An all-time favourite made with all-natural peanut butter. Available by the half dozen and individually wrapped 8 pieces per box. 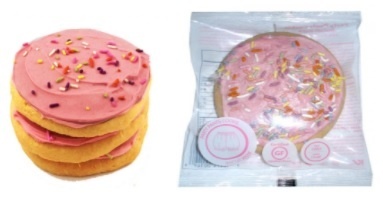 A delightful whimsical sugar cookie reminiscent to a grade school birthday potluck. Available by the half dozen and individually wrapped 8 pieces per box. 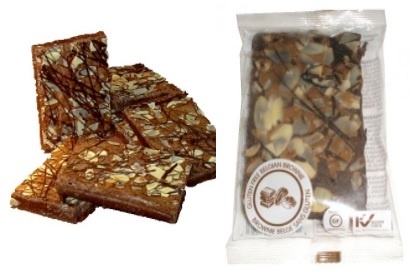 Made with Belgian chocolate and sprinkled with almonds. Available by the half dozen and individually wrapped 8 pieces per box. A moist loaf made with Belgian chocolate, brown rice flour and pecans. 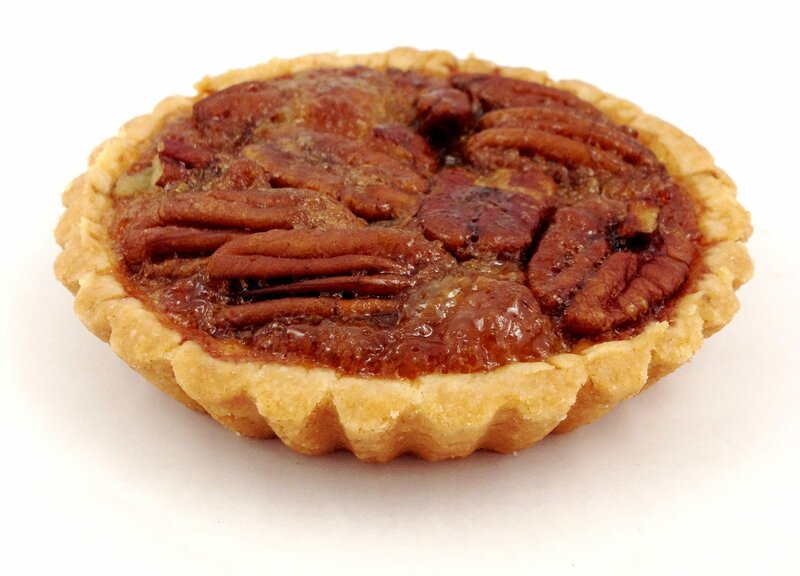 Available cut 9 and individually wrapped slices for 8 pieces per box. Shelf life 5 days. Our famous Banana Loaf is now available gluten free! Available cut 9 and individually wrapped slices for 8 pieces per box.. Shelf life 4 days. 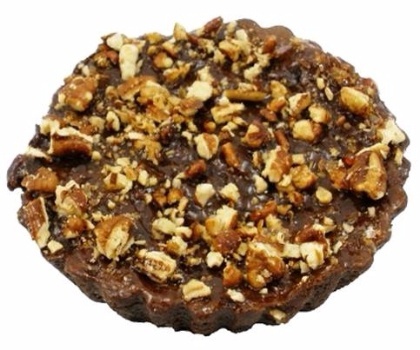 A rich cake made with Belgian chocolate, rice flour and pecans. Available by the half dozen. A long time favourite. Available by the half dozen. 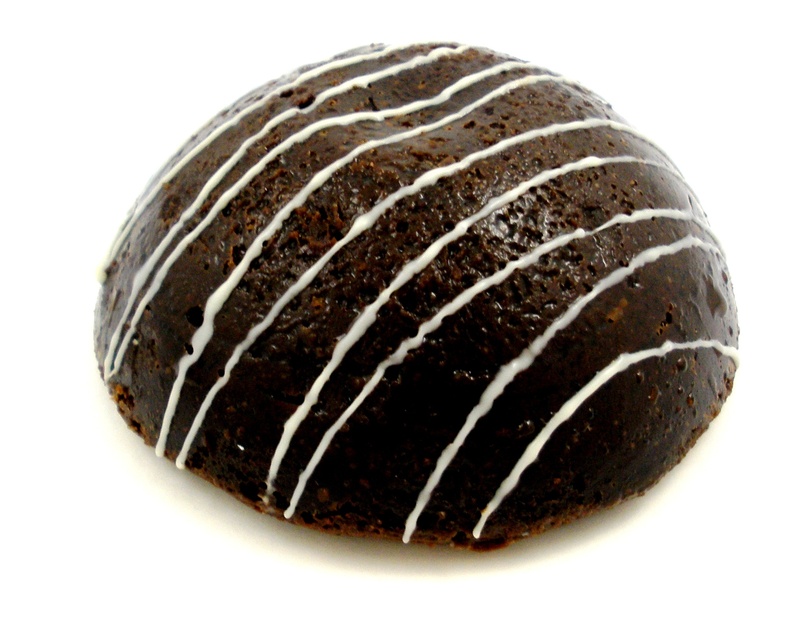 Chocolate shell with hazelnut and milk chocolate in a sweet buttery filling. Densely decadent flourless dark chocolate cake with a hidden caramel filling. 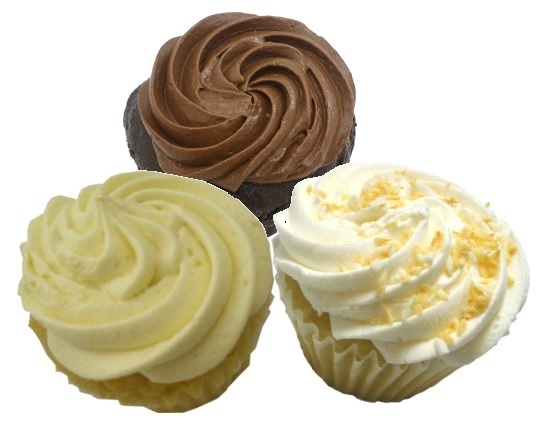 Available by the half dozen and individually wrapped 9 pcs per box. 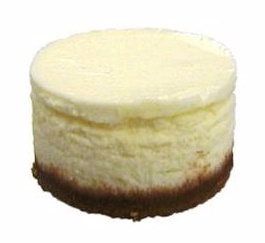 Creamy baked cheesecake available by the half dozen. Delicious and healthy to start off your day right! Available by the half dozen. 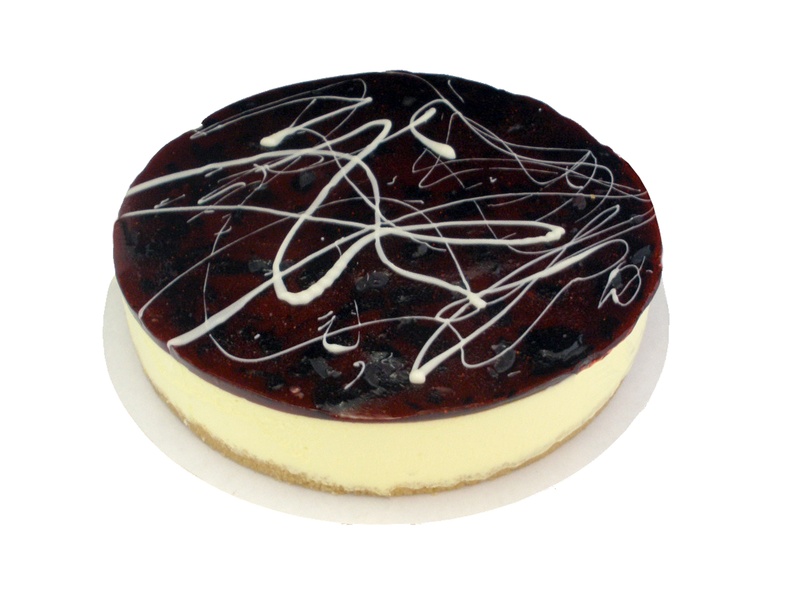 Refreshing lemon cheesecake with a blueberry mirror topping finished with a white chocolate drizzle. Sold sliced in 14 pieces. A great option for an on-the-go snack. 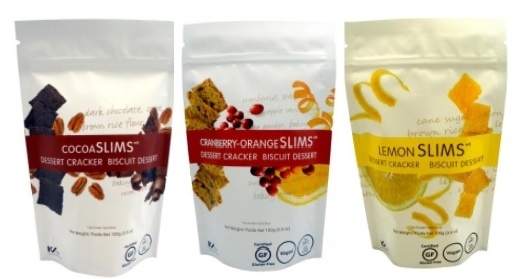 Comes in 4 delicious flavours including GF Cocoa, GF Vegan Cranberry Omega and GF Vegan Lemon. 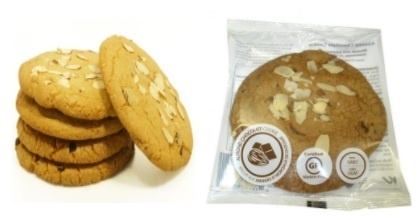 Available in 100g (3.5 oz.) resealable pouches!